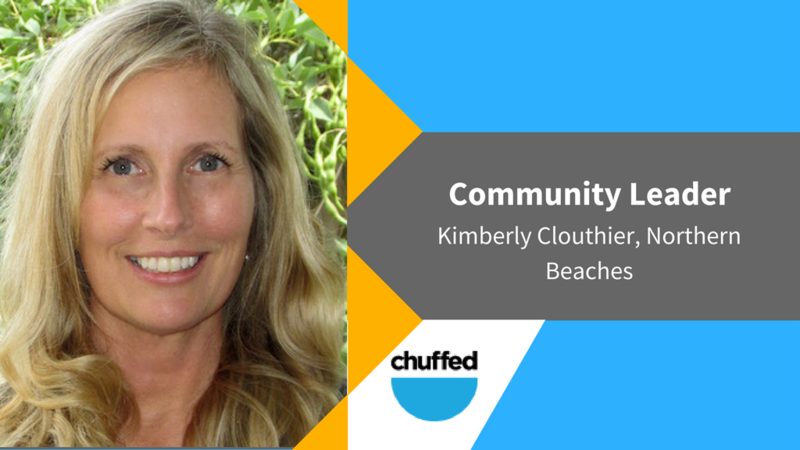 Meet Kimberly Clouthier, Chuffed.org's Community Leader from the Northern Beaches in Sydney. Kimberly has a background in marketing and is passionate about educating the next generation, so they are better prepared for the future. She has worked on two not-for-profit boards as Fundraising Director and has raised thousands for multiple organisations! I am older than I think I am. But you do need a bit of time to fit in all the experience I have had. I started my professional journey as a food photographer in New York City, went on to become a marketing guru in Eastern Europe and am now a futurist in Australia. I like to keep the momentum up, so I have also held board roles in not-for-profits, am a Marine Rescue volunteer, keen sailor and emerging sculptor… well one can hope anyway. Honestly? This ad appeared in my inbox and I answered it. The timing seemed right and Chuffed aligns with my philosophy of ‘giving while your going’. If you need to ‘give back’ then you’ve taken too much. There are plenty of things ordinary people can do to improve our future. You don’t have to be a millionaire. Chuffed enabled individuals like you and me to raised over $10 million for social good in less than 3 years. I want to support that! I was on a not-for-profit board for an arts organisation and we missed out a grant because of budget cuts. But the project that brought together over 60 artists and 2000 members of the community was too good to just drop. So we put it out there and got it funded using crowd funding. Being a futurist I am all about kids. I cannot imagine what it is like to be growing up these days where everything is changing so quickly. Exciting for sure, but also challenging. I mean how can you study for a career that does not even exist yet? So I am passionate about anything that enables kids to connect and get ahead. Being on not-for-profit boards gave me heaps of fundraising experience including straight up membership or donation drives, big fundraising events, grant writing and of course crowd funding. But my secret weapon is the business background I have in marketing. Following on that passion I mentioned earlier, I recently started up a not-for-profit named “Share the SPARK” with some business savvy friends. SPARK stands for Successful Professionals Assisting Resourceful Kids, and we aim to do just that by hooking up adults who are passionate about what they do with kids who have an interest. It is for kids to get exposure, or to try something they never even thought about, because they may find they have skills or talents they never thought they had. Challenging your own assumptions opens up new opportunities for the future. Kimberly is hosting a Crowdfunding for Social Causes Workshop on the 30th of August. You can register here.